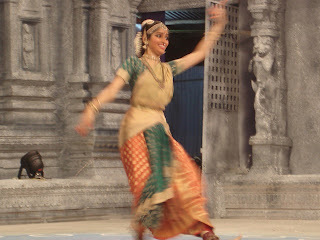 Natyanjali Dance Festival: On stage . . . 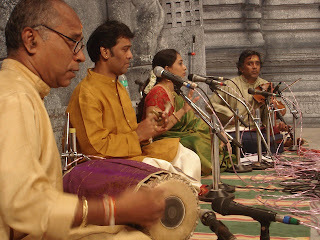 Photos of 1 & 2 - Sudharma Vaithiyanathan in concert: and her guru A Lakshman, of Chennai and the accompanists on March 11 evening. 2. Mohiniattam dancers, disciples of Shyamala Surendran of Kochi 3. 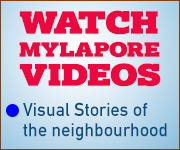 Roopa Ravindran of Bangalore. 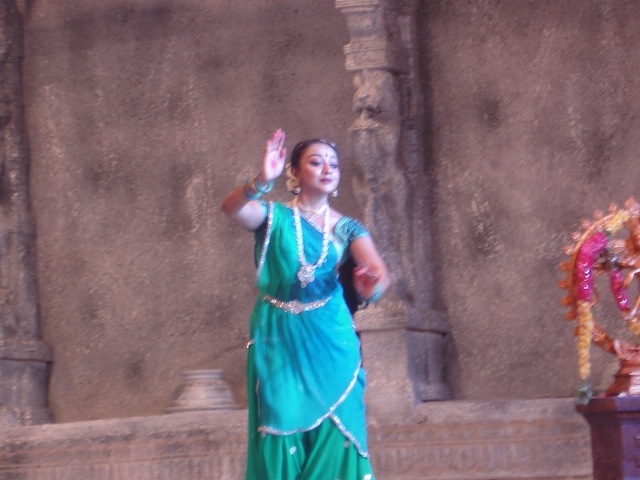 A ragamalika that rasikas enjoyed . .
Day 4. Early evening recitals . . The Reunion Island guests . .
Ms Indira Gandhi and the Natyanjali . . Journey from Reunion island . 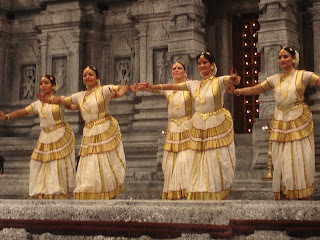 . .
Do we programme a Natyanjali? Early evening pictures . . .
Grey stage on a bright sunny evening. Day One. The road to Chidambaram. This Sunday. Anjali to the Lord; how to do it. Are you shooting pictures of Natyanjali?